Images can greatly help your website. You can utilize images to get visitors to subscribe or buy your stuff, or even read your blog posts! Images can bring a powerful message. However, while your visitors are enjoying your images, search engines are trying to crawl and put a place for them so your visitors can find you. You’ve got to do a little more work than placing the image on your web page. If someone is looking for the best garden tool for sowing seeds, and you just happen to have the perfect product for sale on your website. You’ve been building content around that product, but people are having problems finding you. Your images aren’t even showing up in the results under that keyword for that perfect garden tool for sowing seeds. This is where SEO for images is needed. In this article, I’m going to show you some basics how you can you take advantage of SEO for images, in your content. If you already know the basics on SEO for images, then this post isn’t for you. If you’re a newbie with code, I’m sorry, but I’m going to share a small piece of HTML with you. Below is the basic HTML for image source, that allows you to place images on your web page. These are just a few things that you may want to tell Google, but you have to add more to the HTML image source to do that. You need to name your image exactly what it is about. If it involves the keywords you’re writing about, even better. For example, if you’re writing an article about taking your kid to the zoo, and your keyword phrase is taking your kid to the zoo, then one of the images needs to convey that, and also have a name that coincides with that phrase. Insert ALT and TITLE attributes to the code for your image source. The best way to explain the ALT attribute is that it is a short and concise description of your image. Also, for accessibility, if the user has a slow connection or can’t view the image, this description will allow the reader to know what what suppose to be there. This is especially handy so screen readers can read out to those with visual impairments about what the image was suppose to be. The ALT attribute in the image source code should contain your keyword or keyword phrase. The TITLE attribute, can also have the same information, but it is suppose to be used as a title, rather than a description. This also should include the keyword or keyword phrase. Also, you can have both, but instead of adding the TITLE attribute to the image source, you can add it to the AHREF / the URL you’re linking to. For anyone using WordPress, it allows you to insert images and other media, as well as specify things like ALT, TITLE, and description of the image. If you’re using WordPress, do take advantage of that feature when creating content. Of course, there are so many other things you can do, but these tips are a great start for the average user, and may not need to do more SEO work to their images. Here’s an article to learn more about the image source tag, and Image SEO. In summary, make sure while picking your image, that it’s related to the content you’re writing. If it’s not related, your readers and visitors will not connect. The image is a companion to help attract people to the article, while also giving them a visual idea of what the article is about, or what they can expect or possibly react to it. This article is merely the tip of SEO for images. There’s a lot more, like optimizing your images for site speed. I think many people forget about the SEO of images, let’s face it if there is no text describing the image etc, then how the heck do the search engines have a clue about the image! Great article as always. I lead to believe by everything I have ever read on this subject, except this post, that the Title attribute gives no SEO value as is not use by any search engine. Hi Andrew! 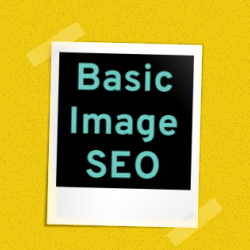 Thanks for leaving a comment, but I think you failed so see one thing… “Basic SEO for Images.” If you break out with the 201 and not leave enough room for a person to absorb the basics first, they get confused. There’s enough of that going on already for me to add to the pot. That’s certainly a good suggestion for later for talking about more advanced topics in SEO for images, but I disagree that this post fails for basic beginners. I’ll let you know when I have my more advanced topics finally up. Great insight about proper handling of images in ever blog post. For instance, I’d like to confirm about you have above, is this the slug name, or the file name of the image where it was uploaded? Just trying to comprehend here, since images are really important nowadays in driving readers to our site. You see, most readers need not to read the whole content if they understand the image at first glance. Yes Nile, I agrees you. Images plays a vital role in the blog posting. On-page Optimization and Image optimization are the basic steps for our SEO campaign. As the Search Engines are getting smarter and more intelligent, the process of achieving a good search ranking is getting more complex. Now it takes much more than just quality content to get to the top. There are many factors that contribute to showing up well in search engine rankings, one of the most important of them is the on page optimization. Image relevancy is important when it comes to image optimization for SEO.The Alt tag is probably the most important image optimization factor. Alt stands for alternate. The text in the alt tag is displayed in place of the image if the image can not be shown or is taking too long to load. Image size is a very crucial factor for your overall user experience. Images can make our page heavy so its important to keep our images low in bytes. Images are eye-catching so are perfect for linking. But proper image linking techniques can offer even better results. One of the basic tips for image linking is to avoid linking our images directly. Always use relevant anchor texts whenever linking our images. This is even more effective for our SEO when embedding images in a guest post or other pages intended to get a link back to our site. Eventually, thanks for sharing much information regarding subject. Image optimization is quite important nowadays as Googlebot processes information included in key content tags and attributes, such as Title tags and ALT attributes. Googlebot can’t read images itself thus needs to read alt tags to understand the nature or contents of an image. You can check availability of alt tags by just hovering the pointer over an image. An alt attribute will cause the alt text to appear within a small box beneath the pointer. Always use your focus keyword which you find via keyword research (using Google Keyword Planner, keyword tool etc.) in your images. Also, in order not to forget to optimize your images use Yoast plugin, it’s a great tool which reminds you to optimize images and shows overall how well optimized your blog post or website page is. Very useful blog post, great job Nile! You are right Image optimization will help in SEO. Using a Alt,Title attributes and ahref tag will greatly helps our website in SEO aspects. Thank you for sharing your knowledge with us. These are great basic SEO Tips for Images! Back when I first starting blogging years ago, I had no idea how important SEO was for images. Know I always make sure to name my images and focus on SEO for my images. I am desperate for this information! Thanks, I am bookmarking this page! I need to update my methods! This is very informative! I was wondering what they meant by keywords when it comes to pictures. This helps me out a whole lot it I’m so happy that you shared it. 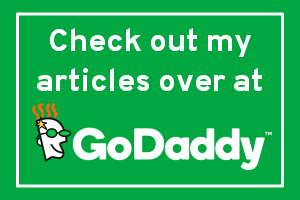 I am trying to get better at SEO. This is a really helpful post for people who are just starting out learning SEO. Images are so important! Great advise. This is something i have been working on the past few months, and I am already seeing in increase in traffic. SEO is definitely something I need to learn more about. Thank you so much for this information to help me get started! This is super helpful. I think these are things that new bloggers definitely need to know about. SEO can be pretty intimidating sometimes. There is a lot of great info on SEO for images here. I always make sure to label my images properly so I know what they are. I’m bookmarking your SEO for images tips. I need to make sure all my images get described correctly. Thanks! These are some great SEO tips for beginners and advanced users who just haven’t done an update on their images in their blog. Thanks for sharing tips! I love this quick tutorial!! It is amazing how much a couple of steps can do at improving your traffic from SEO! This is awesome information about the basic tips for the SEO for images. The keywords or key phrases are very important when placing the photos. Thanks for sharing the tips. Well great article Nile.. Does the content on the image affects the seo? I know google don’t read the image but what if we use the same image used by others with few editing? your posted article is awesome for who’s beginner of SEO.Its really help to me. Great post! Here you have mentioned the tips to attach SEO friendly image. The alt and title attributes of an image described what’s on the image and the function of the image on the page. Thanks for your valuable sayings on the importance of image SEO. Very informative Post. I think using keyword in Alt tag really helps boost SEO. Can you tell me bit more image size? I am having problem with. According to one plugin images on one of post have wrong image size. How I can resolve it? Thanks a lot. Image optimization is also an important task in SEO. Everyone knows that SEARCH ENGINE can’t read Images. They can read ALT tag. So It’s our duty to tell search engine about our image. Hi Taposh! I believe I said that in my article, but thank you for reiterating that. Thanks for sharing, I think some people don’t understand how importance of image Seo on general SEO.